SUDBURY, ON, Aug. 24, 2016 /CNW/ - Focus FS, a leading provider of industrial worksite systems, announced the release of their latest software product, Shift Rescue. The announcement happened during the 10th International Mine Rescue Competition (IMRC), hosted by Workplace Safety North and Ontario Mine Rescue, taking place this week in Sudbury, Ontario. Shift Rescue is an all-in-one under oxygen mine rescue incident application used to digitally capture incident data including team captain information, briefing officer reports, map viewing and mark-ups, photo sharing, activity alerting, and post-incident reporting. "Shift Rescue will significantly enhance and improve how information is collected and shared during an under oxygen Mine Rescue event," says Nicole Darbaz, Director of Products and Marketing at Focus FS. "The system collects and distributes critical rescue information during both team training and live rescue events. Shift Rescue applies to mine rescue competitions such as IMRC, but most importantly, it's been developed for annual mine rescue team training and real-life incidents." The application is deployed on rugged tablets and is used underground where network connectivity may or may not be available. The information collected underground is shared with the briefing officer and control group above ground who assess the information and make time critical decisions. From August 19 to 26, 2016, twenty-seven teams representing 13 nations are competing in different events at the IMRC including an underground scenario, firefighting, first aid, and more. Focus FS with the help of Ontario Mine Rescue developed the Shift Rescue product to be deployed and used during the competition. "We could not have chosen a more suitable venue to launch our Shift Rescue product," says Jeff Brown, President of Focus FS. "This is a globally recognized competition with mine rescue personnel from around the world. Early feedback we have received from mine executives, mine rescue teams, and the industry in general has been very positive. The exposure has been tremendous." St. John's, Newfoundland and Labrador's Focus FS is about safer, smarter worksites. We bring digital technology into the industrial sector to gain efficiencies and lessen risk to help projects run smoothly. 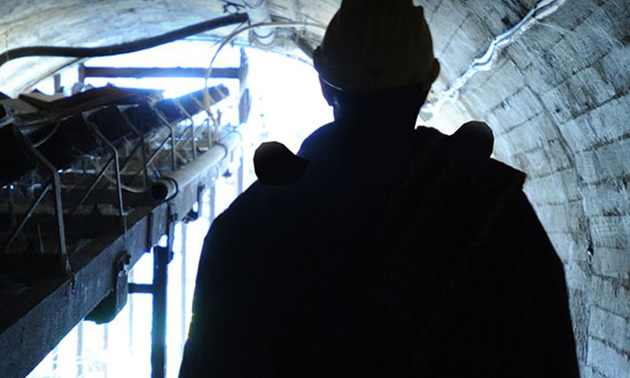 Our innovative products – ShiftPeople, ShiftProcess, and ShiftRescue - digitize the collection, reporting, and distribution of critical operations information: location of people and assets, compliance inspections and corrective action tracking, and mine rescue data collection. For more information, visit us focusfs.com/shiftrescue.